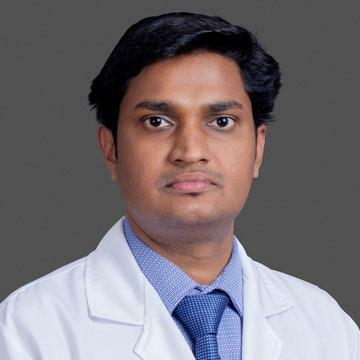 Dr. Aswin Pankajakshan completed his training in Internal Medicine at the Government Medical College in Thiruvananthapuram and subsequently worked at Government Medical College Thrissur. He has a solid background in Internal Medicine and was awarded MRCP (UK) in 2014. He also successfully cleared the Diplomate of National Board and was awarded DNB in Internal Medicine. Dr. Aswin is trained in Endocrinology at Amrita Institute of Medical Sciences, Kochi, which is one of the biggest Endocrinology Department in India. Here he gained extensive experience in the management of all complex and routine Endocrine Disorders, Comprehensive Management of Diabetes, Thyroid Disorders and Polycystic Ovarian Syndrome. Following his training, he worked as Assistant Professor of Endocrinology at AIMS, Kochi. During his time at Amrita Institute, he was part of numerous research activities and was a co-investigator in major clinical trials. Dr. Aswin has multiple publications in his name. He has also been awarded the Specialty Certificate in Endocrinology & Diabetes by the Federation of Royal College of Physicians & British Society of Endocrinology. Dr. Aswin’s key area of interest is in management of Diabetes, Thyroid disorders, Obesity & Growth disorders. He also has extensive experience in the management of Polycystic Ovarian Syndrome which was has his area of research and has published papers on the same. He is a member of ESI (Endocrine Society of India), American Association of Clinical Endocrinology (AACE), Endocrine Society (US), American College of Physicians (ACP) and other organisations.